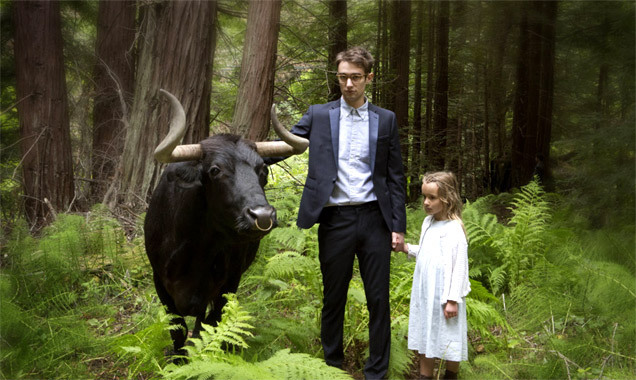 San Fermin is an alternative pop collective from New York. Formation: San Fermin was formed by composer Ellis Ludwig-Leone following his Yale graduation, who had previously work alongside Nico Muhly. he band is officially made up of Ludwig-Leone, Allen Tate, Rebekah Durham, John Brandon, Stephen Chen, Tyler McDiarmid and Michael Hanf, and previously featured Rae Cassidy. Musical career: Ellis Ludwig-Leone wrote the self-titled debut album 'San Fermin' (released in 2013 to much acclaim) at Canada's Banff Centre. It includes the work of 22 musicians such as Jess Wolfe and Holly Laessig of Lucius. 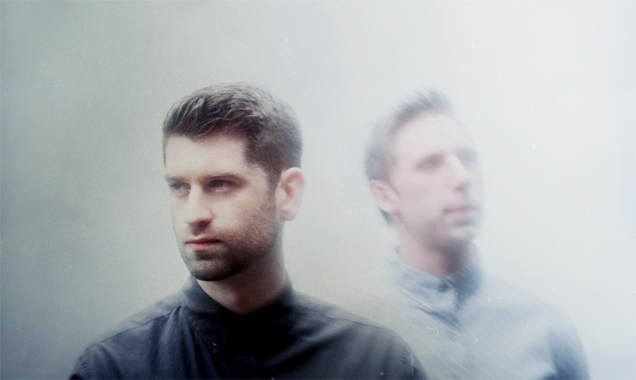 The lead single from their first album was the heavily praised 'Sonsick'. In 2013, they also released the EPs 'Live From the Advent Lutheran Church NYC' and 'Sonsick Remixes'. They released second album 'Jackrabbit' in 2015 featuring the single 'Parasites'. Spoon and Odezsa provided world class entertainment at this year's event. Another year of SXSW is over and 2015's Hype Hotel leaves a lot of memories in its wake. This year featured a tremendous amount of talent, from up-and-coming stars to veteran favourites. If you missed it, here's a taster of what happened. 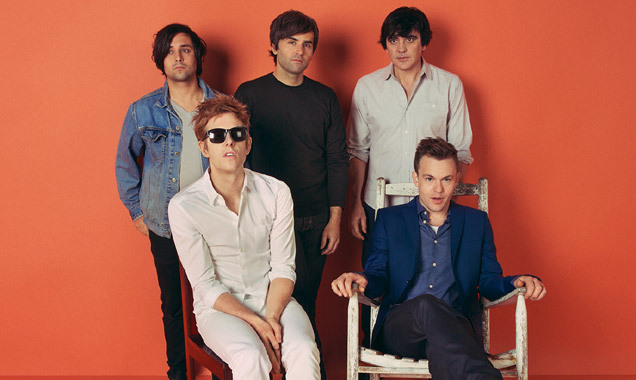 This year's Hype Hotel was headlined by Texas rock band Spoon, who have been around since the 90s and recently joined the Loma Vista label, releasing their eighth album 'They Want My Soul' in 2014. They performed the opening night (March 17th 2015), succeeding everyone's favourite alternative pop orchestra San Fermin who entertained fans with snippets of their forthcoming second album 'Jackrabbit' out April 21st. The Hype Hotel played host to San Fermin, Odesza and Spoon on Tuesday (March 17). Hype Hotel Presented by Feed the Beat returned to SXSW on Tuesday (March 17) to begin five days of music curated by music bloggers and brought to you by Mazda, official automobile sponsor of HypeON. Though primarily staged to showcase some of the hottest emerging artists around, the opening night saw the triumphant return of rockers Spoon, as well as the always on-form San Fermin. The evening kicked off with DJ sets for THE BIG P.A and Zach from Portugal-The Man who played a set later in the evening at Clive Bar, on Davis St. 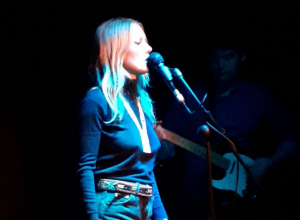 The New York six piece Parlour Tricks began the evening's slate of live music with their infectious brand of retro soul, while Swedish outfit Amason continued the party. Brooklyn orchestral band San Fermin arrived for Live At Leeds 2014 only to experience a very different kind of show at the Belgrave Music Hall. Comparing it to Texas' SXSW, frontman and songwriter Ellis Ludwig-Leone spoke to Contactmusic about the complexities of having up to fifteen musicians on stage with him previously, and just how live performances have differed from recording their self-titled debut album. Contactmusic: Hey, Ellis from San Fermin! Welcome to Leeds. How has your day been so far? Ellis Ludwig-Leone: Good! I mean, it has been super touch-and-go and crazy. We left the hotel in Manchester at 5pm, got here at 6, loaded in, no soundcheck and now we're here. So I've literally seen none of Leeds. CM: You've just come off stage at the Belgrave Music Hall. How did you find that gig? Ellis: It was so different to our gig yesterday. We were playing in Liverpool on this massive stage in the cathedral. It was this huge, very reverb-y space and it's really hard to get energy there; it feels like you're playing quietly even when you're yelling. But it was much more controlled and sober [Laughs]. Today, this reminded me of shows we did in the fall when we were starting out when we had to get on and off stage quickly. It reminded me of SXSW, actually. It was totally fun; we picked all our high energy songs. CM: It's striking how much of a performance that show was. Everyone was moving, everyone seemed joyful. Was that part of your music degree or have you picked that up by playing together? Ellis: That's really a playing together kind of thing. What we just did was really fun though, it's not really an accurate representation of our record at all. If you listen to the record, we have these slow interludes and much more classical, mellow moments. We probably picked that up somewhere between SXSW and here. You've gotta get on in front of a bunch of drunk people who may or may not know your music. You just gotta hit them hard with it. We've played together a lot now in the past five or six months and so we're pretty locked in. It does become quite a spectacle. CM: It felt like a celebration onstage. Even though some of the songs were quite sad, the way they were performed made them ultimately happy. When you came together, did you envisage this set-up? Ellis: No, when I hired the players I thought we might do one show. At that time, there were fifteen of us playing our first show. Fifteen people at one gig, all on stage at the same time. It was the most insane thing. I didn't really anticipate any of the stuff that has happened, happening. It's pretty fun to watch our trumpet player or our sax player run and jump around the stage. When we started playing together they were sight reading music from sheets. So it's really different now. CM: Could you ever see getting all fifteen back together? Ellis: We did that one show and we could barely all fit on the stage. Right after the first show we actually got signed to a record deal and it was super exciting but it was like, 'Oh now we actually have to make a band.' So we shuffled people around, I changed the arrangements, and that's really how it happened. CM: When you were picking people for your band, did you pick from your friendship circle or seek the best musicians you could find in the industry? Ellis: A mixture, for sure. Alan, the lead male singer, has been my best friend for years since I was 15. So that was a no-brainer. In fact, I wouldn't have written the record if I didn't know he would sing it. Other than that, it was a mixture. I picked people who I was friends with for some spots but really the only key component was whether they could play the music right. You may not have been able to tell tonight because it was so loud, but everyone has a serious background in music, whether it's classical or jazz. I picked people based on if they could play. CM: Do you write all the songs as well as all the lyrics? Ellis: Yes, I write the arrangements, I write the lyrics, I write the vocal melodies, I write the rhythms into a score. CM: So none of the songs have come out of whole-band jams? Ellis: No, not at all. The only thing that has happened - and this has been a recent development - is there are some parts in some of the songs, such as 'The Count', that are different to the record. That section in the middle where the saxophone came out and did the solo, that all came out of a kind of a controlled jam where I was like, 'Alright, let's start with that' then, 'Trumpet, what can you do here?' so there is some kind of improvisation there. That has actually made the show a lot more fun for everyone because there's a bunch of really great musicians up there and they want to be able to use their own voices as well. So there are controlled sections where improvisation happens. CM: The balance between the talent and the performance was great; everyone looked like they wanted to be there which infected the crowd and got them moving too. Ellis: Yeah, we got the vibe from the crowd that they were there to move. We played a show in Brooklyn not that long ago where we did the exact opposite; we played all the interludes and had back-up singers and a whole string section, it was very controlled. Tonight wasn't like that at all. Reading the crowd helps us decide how to play. CM: How would you compare the British and American crowds? Ellis: They're still a little smaller here but in terms of the vibe I would say there's less variation between British crowds; I feel like we get a similar reaction from every crowd here whereas in America it depends on the city that you're in because you can get vastly different reactions. Some cities are "too cool" - even if they love the show they don't yell and they just sit back. I've noticed sometimes in New York - even though we usually have great crowds and it's our hometown - that it's a lot less noisy than other places. CM: Where's next on the touring agenda? Ellis: I think we're playing in Manchester tomorrow. Last time we were there we played at a place with a soup and sandwich restaurant above it [Soup Kitchen] with Woman's Hour and Gymnast. It was nice, a really great show. Then we might be doing Newcastle after that and then we're headed to the Village Underground in London. CM: Do you all spend much time together outside the band? Ellis: Sort of. I think more and more now we're spending time together and becoming good friends. We spend every day together on tour so there's not a whole lot of incentive to go hang out. Alan and I hang a lot and I'll run into the other guys often. CM: You've changed your main female vocalist [Charlene Kaye replacing Rae Cassidy] recently. How has this affected the band? Ellis: One of the things that's funny about this band is that it started without being a band; it started with people being collected to play this music. And so even at the very beginning, people who were playing on the record weren't the people who were touring with us so we've had a number of different female vocalists as well as musicians on other instruments. For the most part, it has been only exciting because you get to see these songs sort of evolve and change. Every singer has a different take on the songs and the songs are not easy, they're hard to sing. And so it's interesting to see how they morph from sounding aloof with one person then really present with the next. Charlene has done a really great job blending into the group and she has so much energy on stage. CM: So it was just a coincidence that she was such a strong frontwoman as well as a great singer? Ellis: Well, I tried to look for that; it has been a happy coincidence that she's such a good performer. CM: What about you? Your background's in music and you're clearly an accomplished musician, but what would you be doing if you weren't in music? Ellis: My first love was basketball. I took it really seriously and had the option to play in college and I sort of shifted away and did music instead. So I might have pursued that more. I also really like writing so I might have been a writer. I'm useless at a lot of stuff but I'm really good at talking about myself - that's all I do! CM: Looking ahead, how will you retain your appeal to trained musicians and/or the pop mainstream? Ellis: That balance between being a musician's musician and being a musician that people actually know is something that I think about, for sure. But I guess I'm young or naïve enough to think that those two things aren't exclusive to each other. With our next record, I'd really like to write something complicated enough to satisfy my musical desires but also something that people really relate to. It's dangerous; now that we have a platform and a record label, we just go and try to write a hit. That would change your career pretty quickly but I'm not sure that that would be satisfying musically. CM: How far along is the follow up to 'San Fermin'? Ellis: It's written and we're going to record it as soon as we get back to New York so that's pretty exciting. I'm not sure when the release will be but we're going to put it out sometime next year hopefully and it's going to be done hopefully this summer. It's kind of nerve-racking. CM: Indeed! Did you see yourself where you are now, say, a year ago? Ellis: No. Definitively no! A year ago we still hadn't toured yet. We'd just got a record deal and the thought of even going oversees was so foreign to me. So that's pretty cool. Even though it happens quickly, so much of what you're doing even when you're touring is just really prosaic; you're going to the hotel, you're eating fast food, you're feeling uncomfortable in the car for most of the day. CM: You don't enjoy touring? Ellis: I love touring but people say, 'Oh it must be so amazing to be touring.' People have a very glorified idea of it. Especially for a band at our level, we're still at a point where we're not being treated to all the amenities that a really famous band would have. It's pretty grimy. Today, for example, of the 24 hours, 22 were filled with really prosaic things. That's a really long way of saying that I really enjoy touring and I love what I'm doing but you lose track of how quickly things are changing. CM: One final question, what would your dream merch item be to sell at gigs? Ellis: That is a good one! We'd probably bring in a live bull and I'd sell rodeo rides on the bull. 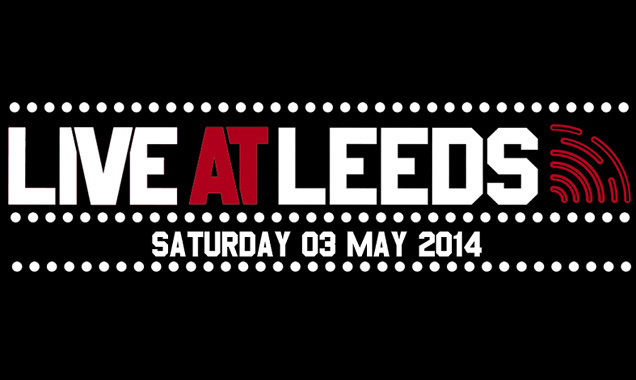 Live at Leeds 2014 is now just days away. 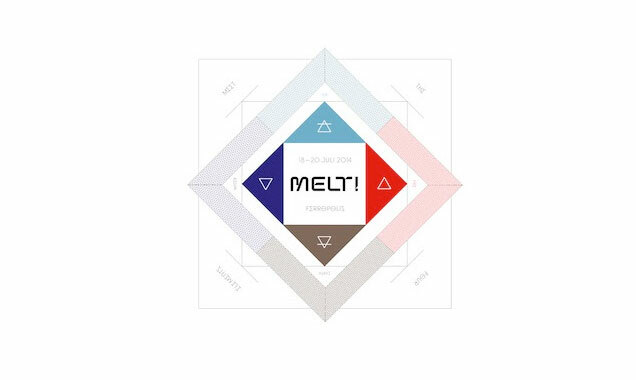 Here's our preview of this UK's premiere inner-city festival. It's been eight years since a bunch of music venues in Leeds first opened their doors to hardy metropolitan festival-goers for Live At Leeds. Following the tried and tested format of SXSW and the Camden Crawl, Live at Leeds has risen to become the country's foremost inner-city gathering of bands, musicians and like-minded music fans. Though the booking is invariably spot-on, key to Live at Leeds' popularity is the quality of the venues, including The Cockpit, The Hi-Fi Club and the stalwart Brudenell Social Club. 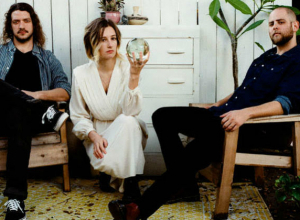 The bustling Belgrave Music Hall is a welcome addition to this year's festival. In order of appearance, here are 10 of our suggestions for this years event.